“I just had 2 babies in about 2 years and I really wanted to get back in shape! I know I needed a trainer for the motivation and the education. 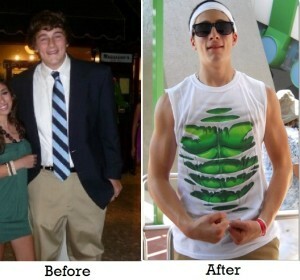 I lost 50 pounds and over 7% body fat! I am toned and am in even better shape than when I got married! I feel like I have so much more knowledge about my body, fitness, and overall wellness. The program is individualized to you! Rock Fit really knows how to get the results you want. They’re a wealth of information, not only with fitness, but with nutrition, sleep, and stress reduction. I was a Division 1 athlete and I thought I knew a lot about fitness. After joining Rock Fit, I have learned so much about working out and what is good for my body more than I thought I ever would! I have changed my lifestyle not only for myself but for my family and we are all better for it! Rock Fit is not just some personal trainer at the gym. This is a complete wellness program that, if you believe in and truly adopt, then you will have results that you thought were not possible. 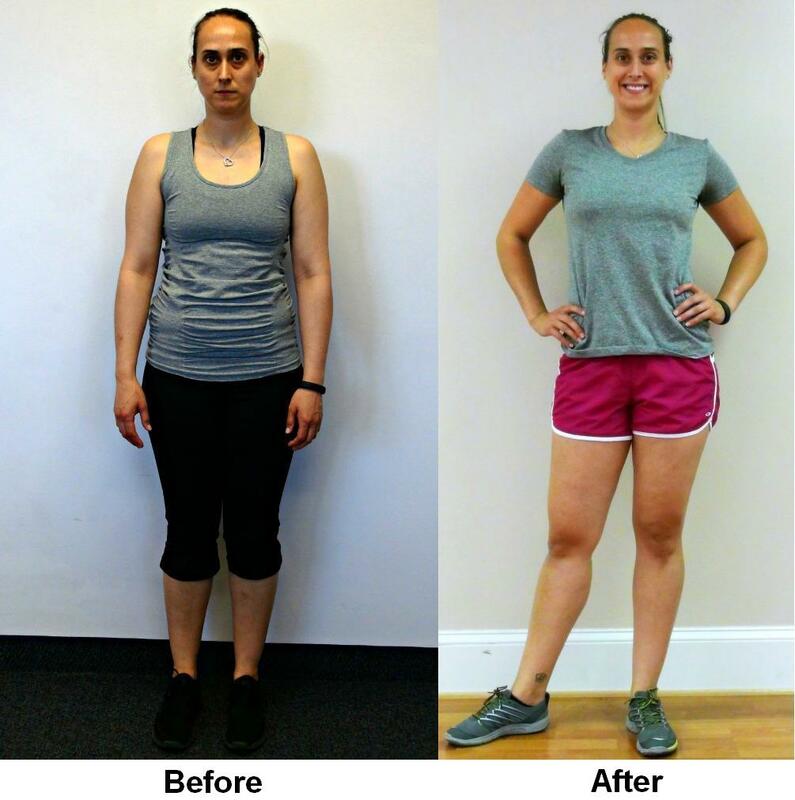 “I have been working out with a trainer for years, and while I became stronger, I felt that I needed a more comprehensive program – one that continues to build muscle but also guides me toward more sustained weight loss. Rock Fit meets this goal by providing someone who is more a wellness coach than a trainer. I had bilateral knee replacement surgery two years ago, and my right knee is not as flexible as my left knee. In addition to helping me with my rehabilitation, in between my sessions with a physical therapist, Rock Fit tailored my program to increase flexibility in my right knee. In addition, I have lost significant weight and have been able to sustain this loss for several months. As a yo-yo diet queen, this is quite significant. The attention to personal goals is excellent. Rock Fit isn’t a typical program where the trainer adds weight or repetitions to an exercise program and calls this progress. My orthopedic issues are taken into account in everything we do, and my progress is assessed regularly with a functional movement screen and with calipers. Setting goals is a collaborative process and is based on the objective results of the Functional Movement Screen. The process is tailored to my needs. 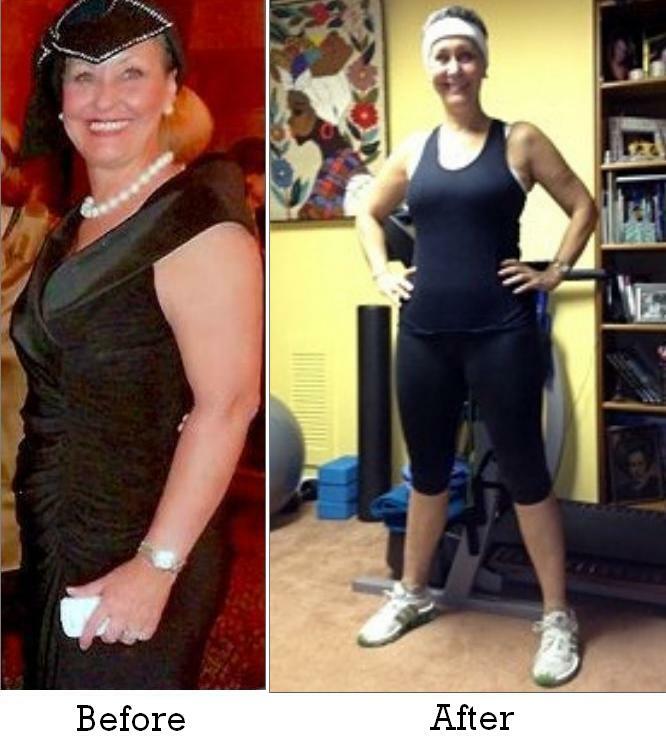 “I wanted to start a training program because I had a wedding coming up and I wanted to drop 10 pounds to look my best. I tried to lose the weight on my own, but the tons of exercise and dieting that worked for me 10 years ago, wasn’t doing anything. I also wanted to know how to stop the yo-yo dieting that seems to be something I struggle with almost every year–as well as learn how to lead a healthy lifestyle beyond the wedding and for the future. I not only lost the 10 pounds for my wedding but also an additional 5 for a total of 15lbs! I have learned and am continuing to learn what the causes are that lead me to have cravings, hunger and low energy. I have learned what causes the yo-yo dieting and how to get it back under control when I hit road blocks in my life. I love that Rock Fit is tailored to your fitness goals and your trainer is just as vested in your results as you are. They are not just there doing you a favor–they are involved in showing you moves and making sure you are doing them correctly. They are not texting or paying partial attention as you sweat through the workout. Each workout has been tough and different. I leave each workout feeling great! 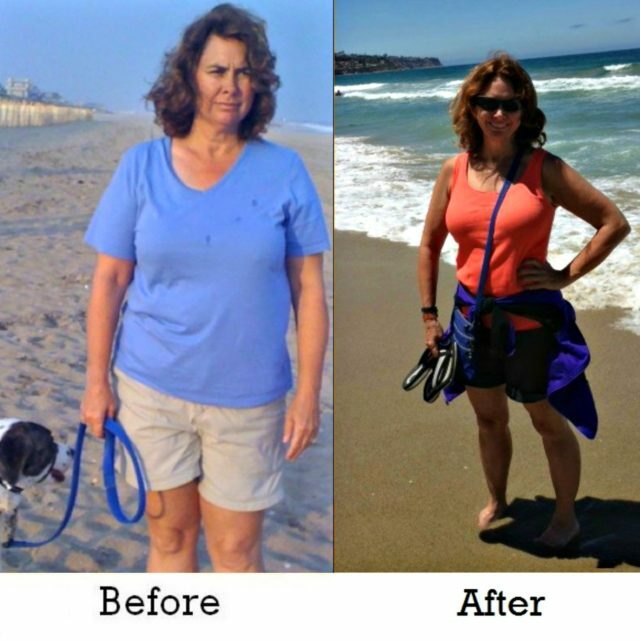 “I was 54 years old, rapidly gaining fat, and developing a variety of health problems despite avidly following diet and exercise programs that I thought should be helping me get better. Luckily for me, a friend recommended my trainer at Rock Fit. After three trial sessions, I decided that it was worth the investment in time and money to get leaner, stronger, and more importantly, get the individual support I needed to achieve my fitness goals. I have had incredible results with Rock Fit. I have lost approximately 55 pounds—going from “obese” to “fit” in body composition. My once high blood pressure is now well within normal range. I am much stronger and my joints are measurably healthier and more mobile. I feel calmer and more energetic, even in difficult or stressful times. I am also better able to help others when they face difficulties or challenges. Even migraine headaches are now a rare, manageable inconvenience. I have learned techniques that actually work for losing fat, toning muscle and reducing the impact of stress on my health and happiness. My whole life is just working better. Two members of my immediate family have also trained with Rock Fit. Because of this, we are a healthier and more close-knit family overall–eating, exercising and celebrating together in ways that support our good health. When you work with Rock Fit you gain an unusually dedicated ally for your health and happiness. My trainer is always available when I need support in any aspect of wellness. This has been invaluable to my success in reaching my goals. I am now much healthier, more focused, and happier than ever. I am actually achieving my fitness goals instead of wasting my time and energy pursing antiquated and ineffective methods of diet and exercise. My improvements in health and outlook don’t just benefit me–they positively impact my family, friends, students, co-workers, project outcomes, everything really. 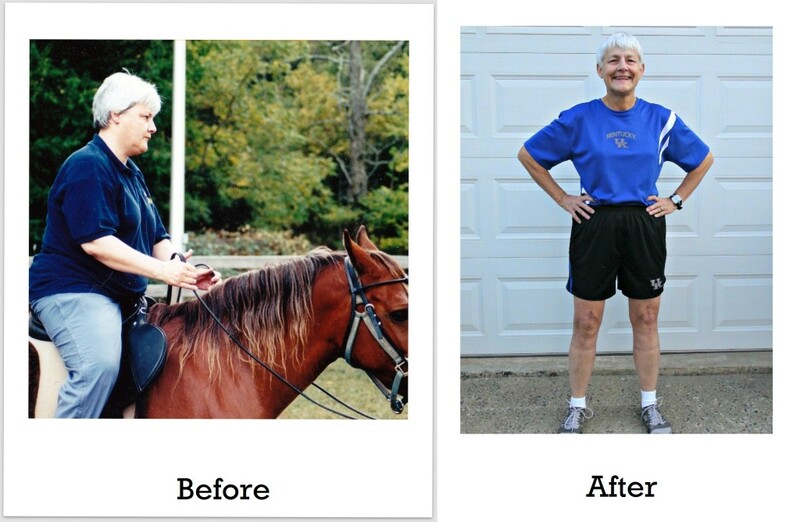 “When I started training with Rock Fit, I had just recovered from a broken leg and a major surgery. Rock Fit gave me the motivation to get back into the gym and become a healthier person as a whole. As my training started, I needed to get my body in balance to build muscle and lose weight. Rock fit gave me the nutritional tools to lower my body fat and feel better overall. My Rock Fit trainer taught me metabolic exercises that would make me train like I never have before. He made sure I left the gym feeling like I had a great workout. I felt confident that I was on the right track to a better me. Rock Fit also prepared me for an 81 day backpacking trip I went on with Outward Bound. I couldn’t have been more prepared for what I was thrown into. I gained the endurance, strength, and stamina to walk over 10 miles a day with 80 pounds on my back. Rock Fit was a huge part of the reason that I was able to make it through the trip and summit the 3rd tallest peak in Ecuador 18,996 feet. I just recently had another surgery. Rock Fit prepared me for it and kept me wanting more, as soon as I could get into the gym! The weeks following my surgery, I was only working on my upper body and Rock Fit raised all of my heavy lifts by 30-40 pounds! I was amazed at how Rock Fit’s techniques helped me build up strength so quickly. 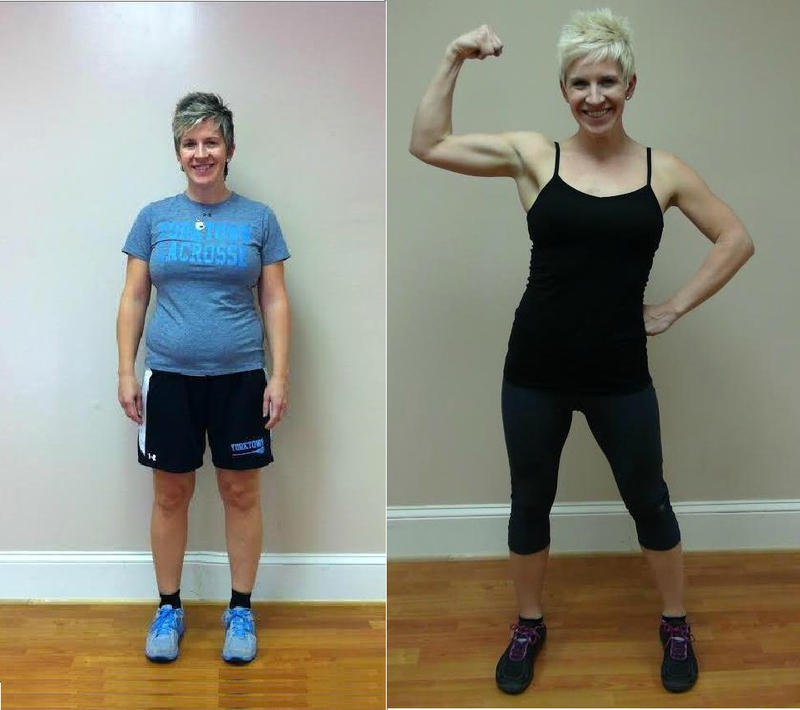 “I started Rock Fit 2 years ago when my doctor told me my body fat was 36% and that my sedentary life was not good for my heath. Years of not exercising, menopause, and a not so healthy diet led me to that. Thanks to Rock Fit, a bit more than a year later, I had 21.7% body fat! 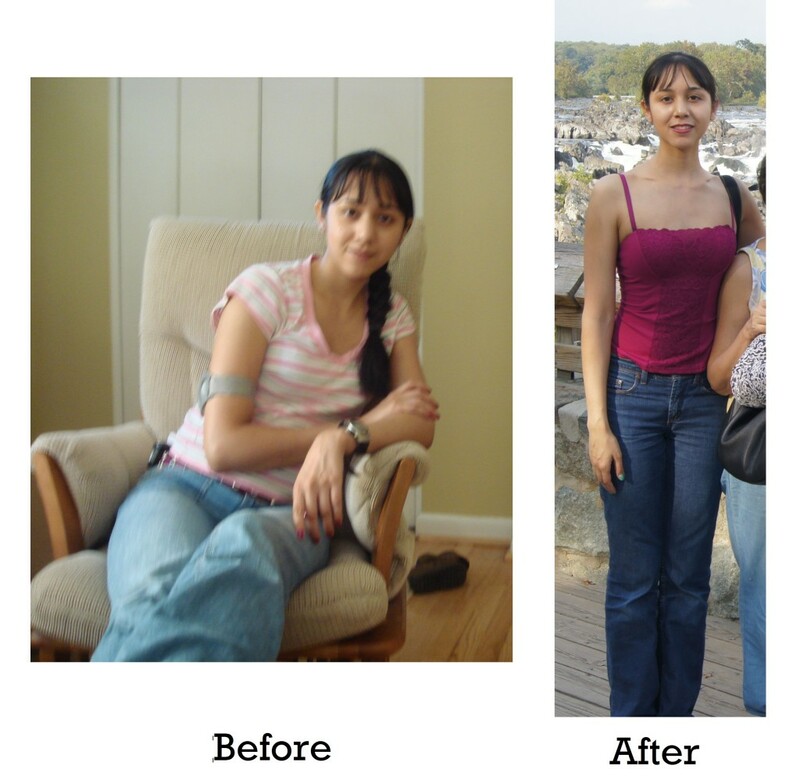 Moreover most of my localized fat was eliminated. My body now has more definition, and overall, I feel great – re-energized! I can now wave without having to hide my arms!